Juicers for overseas use - We offer a variety of 220 volt juicers for international use. We are now offering juicers for overseas use. These juicers operate on 220 volts or 240 volts, which is the electricity standard overseas. These juicers will not work in the USA. 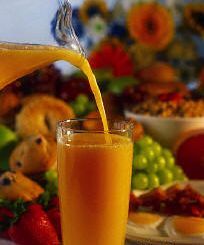 If you are looking to purchase a juicer for use in the USA, please click here to see our juicers that will work in the USA. While we offer "We pay the shipping" promotion on the 110 volt versions of these same juicers, we do not offer the same shipping promotion on the 220 volt models. This is due to the fact that they 220 volt models have a different pricing structure and we do not sell as many 220 volt machines. If you order a 220 volt model with a item that qualifies for the free shipping promotion, the entire order will ship free. Please note: Although we are selling models that work overseas, we do not ship overseas. We only ship the the US 50 States. If you are overseas, please contact a dealer in your area to purchase a juicer. We offer these units to our customers that have friends or relatives overseas that will bring them or "ship them over", as we do not export. Omega No longers offers any of their 220 volt models for sale in the USA. For this reason, we recommend the Tribest Brand 220 volt machines. Important 220 Volt Warranty Information: The manufacturer's obligation under warranty is to support the model in the USA. This means it is up to the manufacturer to decide whether warranty shall apply or not in the case of machines used outside the USA. Many manufacturers will support the warranty but only if the product is brought back to the USA prepaid by the customer, with the return shipping cost to the customer also the responsibility of the customer. Some manufacturers will state the warranty is not valid. Single Auger Juicers - These juicers works with a slow turning single auger that basically crushes the produce into the walls (or screen) of the juicer, and in the process extracts the juice. Click here for more information on this style juicer. Vertical Single Auger - A revolutionary design in juicers. It takes the single auger style juicer and turns it vertically. Will juice fruits, vegetables and wheatgrass well. Does not have multi-purpose functions.